Celebrate with a tin full of tradition. 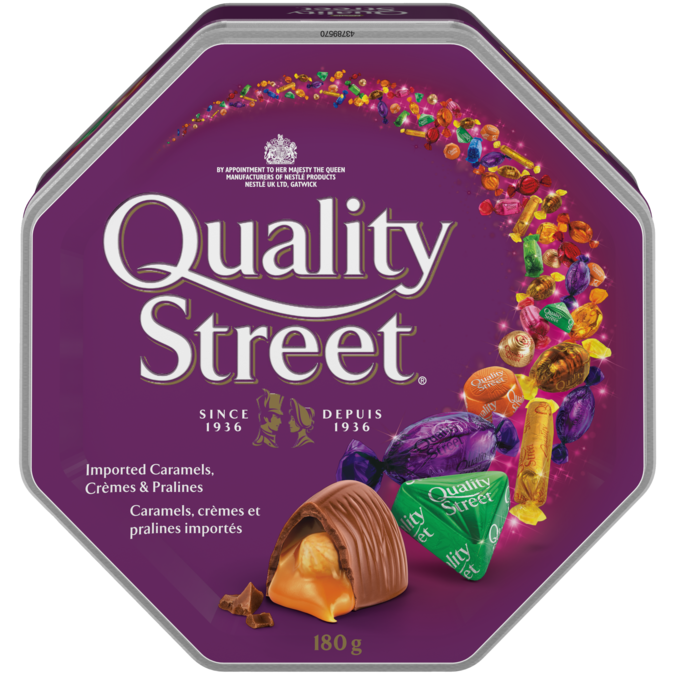 QUALITY STREET Imported Caramels, Crèmes & Pralines are a decadent mix of imported candies that will delight your friends and family. Shake, search and sort for your favourite.
. May contain peanuts and other tree nuts.